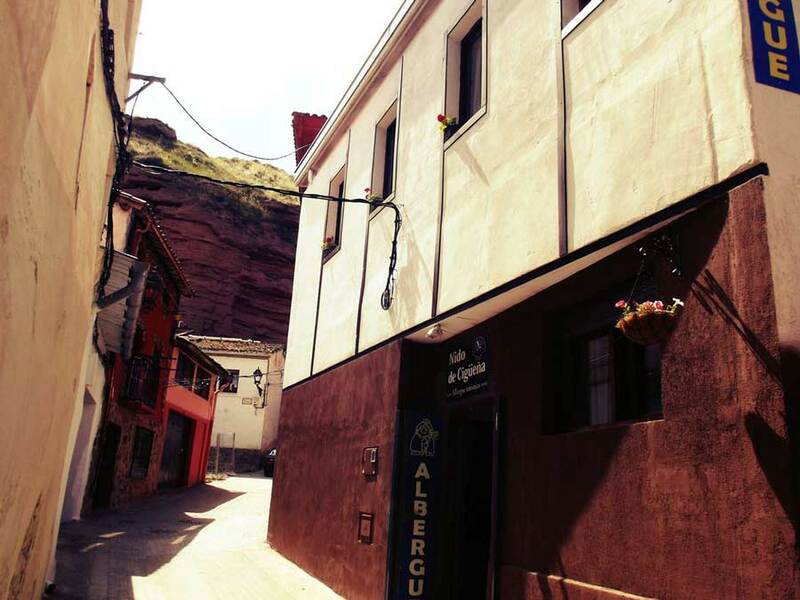 Albergue Nido de Cigüeña was founded in 2014. 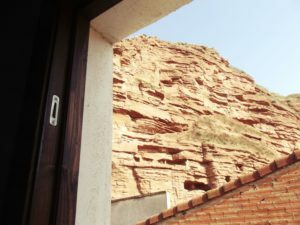 It’s the first albergue in Najera and on the Camino de Santiago which was built by the Russian pilgrims. 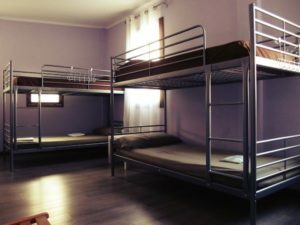 We are providing every facility and service you may need and expect to have a comfortable rest. 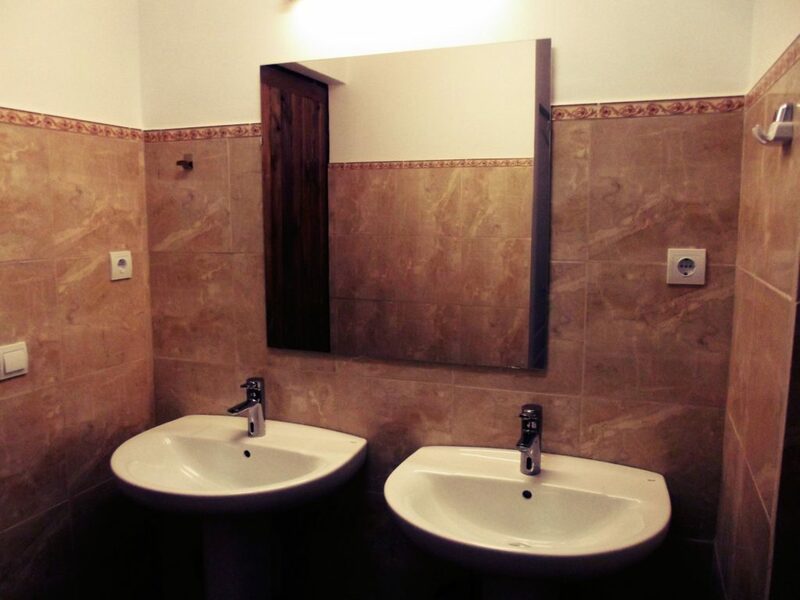 Always clean and fresh rooms, shiny water taps and friendly atmosphere. 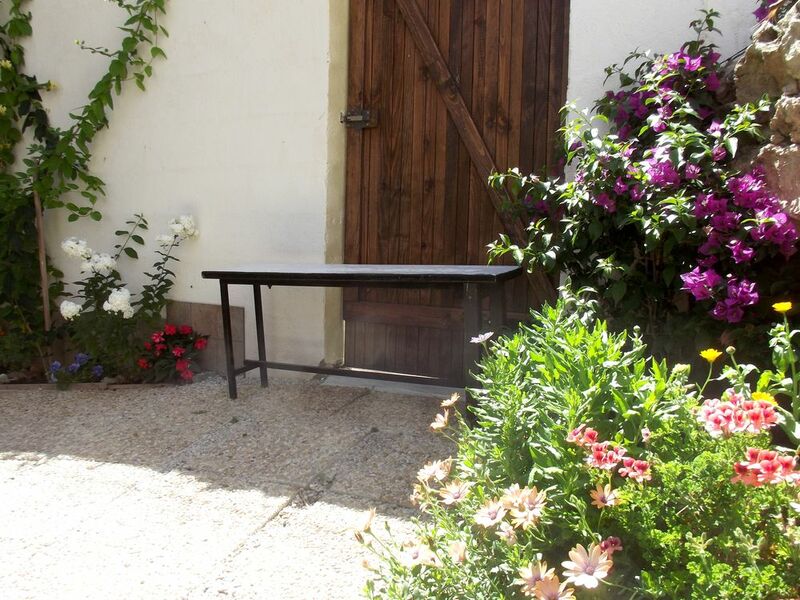 Our albergue is private and it can handle up to 20 persons. We hope you will enjoy the rest in here and will love our fireplace and the great mountain view with storks’ nests and caves! Nido de Cigüeña is a private albergue, and we accept only pilgrims of the Camino Frances who is visiting Najera and looking for the accommodation. We are well located in the heart of the old part of the city at the beautiful mountain cliff. 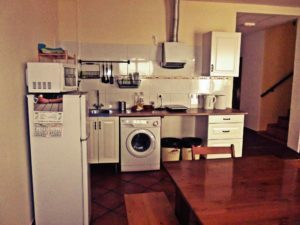 We have a full functional kitchen, washing and drying machines, coffee and soft drinks machines, bicycle parking and more. 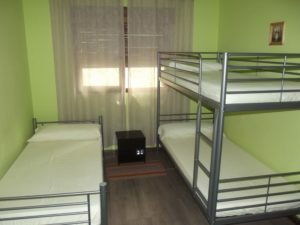 Price for a bed starts from 10 euro (and it is the cheapest rate for a place in albergues in Najera), we have single or bunk beds in shared rooms. If you enjoyed our albergue, do not forget to leave a comment here please. We need your feedback to make this place better! Or share this page with your friends! 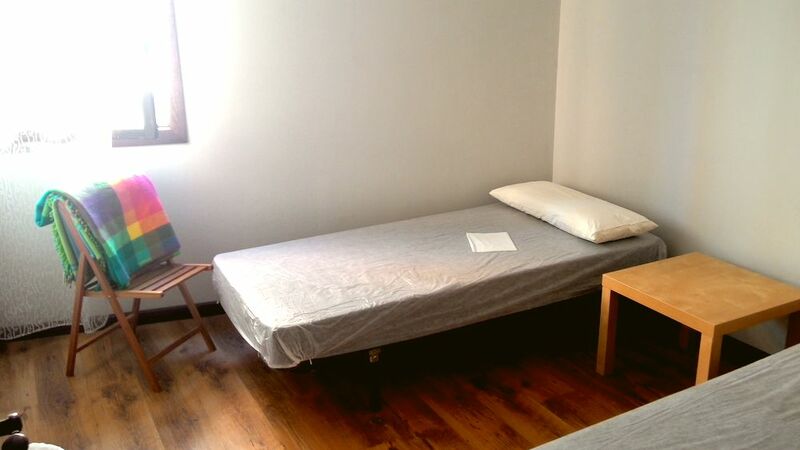 We made for you an easy-to-use booking page, where you can reserve a bed or a private room in a minute: Online reservation! First of all, it’s free. You can check availability for a chosen date and send us booking request. Also, if you changed your mind and not going to visit us – there is an option to cancel reservation and we won’t charge you any money. Albergue “Nido de Cigüeña” is situated near the mountains in the old-town part of Nájera. Please, look at the map below. You will follow the Camino de Santiago route (always follow yellow arrows ) – we are just few steps away from the camino! 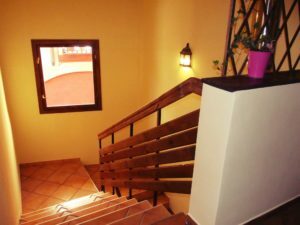 When you just enter the town, you will find a roundabout (there is Guardia Civil and Chinese Restaurant nearby) – keep going down the street San Fernando (aprox. 10 minutes more). Eventually you will see a beautiful river and the ancient bridge. You are almost there! Cross the bridge, DON’T TURN ANYWHERE, keep going straight to the mountains on the horizon. From the bridge to our albergue just 5 minutes walk. Get the exact address from the Google Map on our contacts page or call by phone ☎ +34 611 095 191. 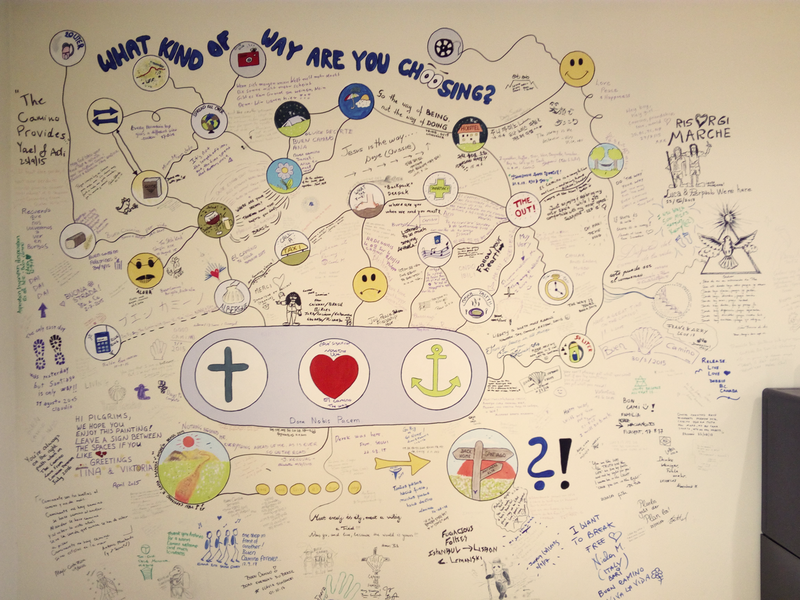 In our albergue you can leave a mark right on the wall. Write your thoughts or draw a picture - whatever you want. Albergue Nido de Cigüeña in Najera, 2014 - 2019. We are happy to help you with the accommodation on the Camino de Santiago.